Bottom Line Sheer, velvety and extraordinarily effective against UVA and UVB rays, LaRoche-Posay Anthelios 60 Melt-in Sunscreen Milk is the ideal face sunscreen, reviews say. Users love that it's fragrance-free. It's perfect for everyday use -- and it's water-resistant, too. 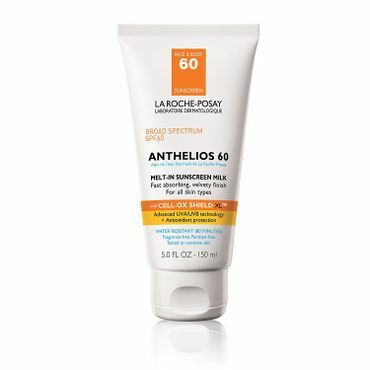 La Roche-Posay Anthelios 60 Melt-in Sunscreen Milk La Roche-Posay Anthelios Melt-In Sunscreen Milk SPF 60, 5 Fl. Oz.